CVP analysis is used to build an understanding of the relationship between costs, business volume, and profitability. This analysis will drive decisions about what products to offer and how to price them. CVP is at the heart of techniques used to calculate break-even, volume levels necessary to achieve targeted income levels, and similar computations. The starting point for these calculations is the contribution margin. 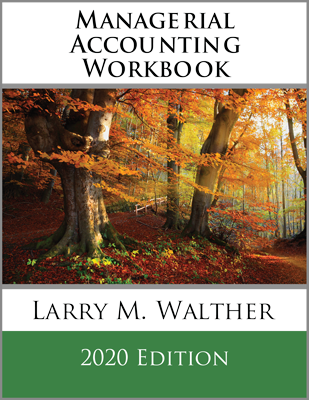 The contribution margin is revenues minus variable expenses. 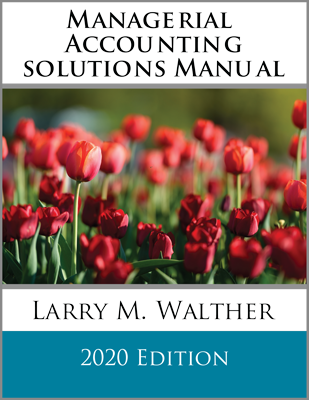 Do not confuse the contribution margin with gross profit. Gross profit is calculated after deducting all manufacturing costs associated with sold units, whether fixed or variable. 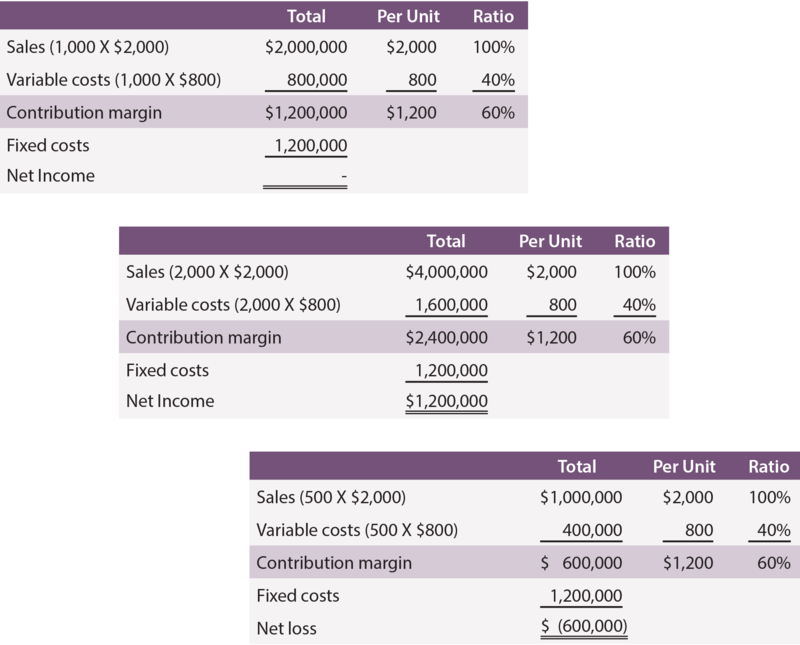 Instead, the contribution margin reflects the amount available from each sale, after deducting all variable costs associated with the units sold. Some of these variable costs are product costs, and some are selling and administrative in nature. The contribution margin is generally calculated for internal use and is not externally reported. Margin: Aggregate, Per Unit, or Ratio? One might refer to contribution margin on an aggregate, per unit, or ratio basis. This point is illustrated for Leyland Sports, a manufacturer of scoreboards. The production cost is $500 per sign, and Leyland pays its sales representatives $300 per sign sold. Thus, variable costs are $800 per sign. Each signs sells for $2,000. Leyland’s contribution margin is $1,200 ($2,000 – ($500 + $300)) per sign. In addition, assume that Leyland incurs $1,200,000 of fixed cost. Notice that changes in volume only impact certain amounts within the “total column.” Volume changes did not impact fixed costs, nor change the per unit or ratio calculations. By reviewing the data, also note that it is necessary to produce and sell 1,000 units to achieve break-even net income. At 2,000 units, Leyland managed to achieve a $1,200,000 net income. Conversely, if only 500 units are produced and sold, the result will be a $600,000 loss. Leyland’s management would probably find the following chart very useful. Dollars are represented on the vertical axis and units on the horizontal. The total sales line starts at “0” and rises $2,000 for each additional unit. The total cost line starts at $1,200,000 (reflecting the fixed cost) and rises $800 for each additional unit (reflecting the addition of variable cost). “Break-even” results where sales equal total costs. At any given point, the width of the loss area (in red) or profit area (in green) is the difference between sales and total costs. 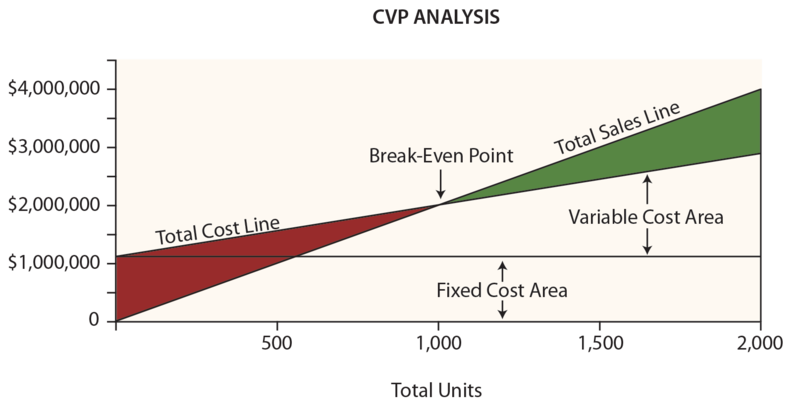 CVP is more than just a mathematical tool to calculate values like the break-even point. It can be used for critical evaluations about business viability. For instance, a manager should be aware of the “margin of safety.” The margin of safety is the degree to which sales exceed the break-even point. For Leyland, the degree to which sales exceed $2,000,000 (its break-even point) is the margin of safety. This will give a manager valuable information as he or she plans for inevitable business cycles. This analysis reveals that Leopard has a more scalable business model. Its contribution margin is high and once it clears its fixed cost hurdle, it will turn very profitable. Lemming is fighting a never-ending battle; sales increases are met with significant increases in variable costs. Be aware that scalability can be a double-edged sword. Pull backs in volume can be devastating to companies like Leopard because the fixed cost burden can be consuming. Whatever the situation, managers need to be fully cognizant of the effects of changes in scale on the bottom-line performance. 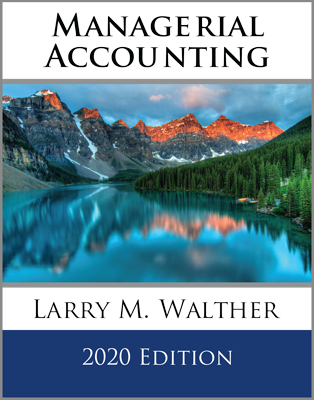 Define the contribution margin; distinguishing between aggregate, per unit, and ratio amounts. Understand the break-even point and target income. Be able to perform break-even and target income computations. What are some of the applications for CVP analysis?